Now identified as one of the most prominent pet food trends, limited ingredient pet food has taken the pet industry by storm. Pet professionals are intrigued by the category and have plenty of thoughts concerning what it consists of, how it's trending, and how (if at all) it benefits pet owners and their furry friends. As Applaws (our 100% natural limited ingredient cat and dog food brand) has noticed: there's still a lot of questions surrounding this topic. We worked with them to uncover why this particular category of pet food has become so popular over the coming years. What is Limited Ingredient Pet Food? Limited ingredient diets (LIDs) are just as simple as they sound: pet food without very many ingredients. Most of the time, the ingredients that are present are usually 100% natural and don't contain any additives or chemicals. With the rise of the humanization of pets, pet owners are drawn to diets that are similar to their own; they like feeding their pets food that they themselves would eat. Now that pets are largely being considered as part of the family, owners want high quality food that they would want to feed their children, and have started shopping more like a parent than an owner. Additionally, like a parent, pet owners want to know what is going in their beloved furries, and would prefer to do so without requiring a chemistry degree. The limited number of ingredients not only means there aren't very many words to read on the back of the packaging, but also that there is less of a chance for additives or fillers. This is important because, according to a recent Neilsen study, 72% of cat and dog owners prefer foods without genetically modified ingredients. The last, but certainly not least, reason why consumers opt for LIDs is due to their demand for full pet food transparency. In fact, a study Pet Food Industry mentions indicates that “9 out of 10 Americans say it’s important that the pet food they purchase provides transparency of ingredients.” The fact is: the less ingredients there are, the harder it is for pet food manufacturers to be sleazy about their products and their methods for making them. There’s no doubt that pet food is king within the pet industry, with dollar sales increasing 29% from $6.2B to $8B in the last five years, as reported by GFK in their panel in late 2016. Although the natural pet food category has obtained the highest market share in recent years, LIDs aren’t far behind. 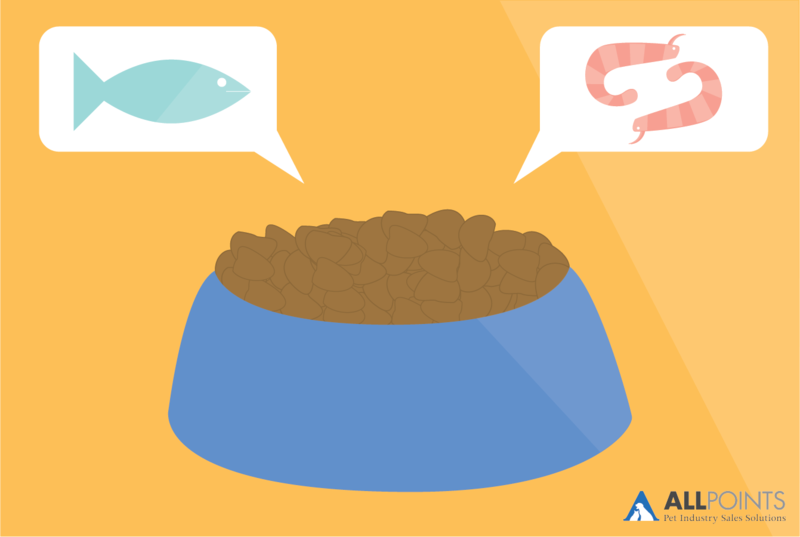 After GFK’s panel last year, we published a summary of pet food trends mentioned during the webinar. GFK announced that limited ingredient pet food currently owns 8.6% of the market at $683M and has a 12.5% growth rate year over year. Much of this category is currently made up of dry dog food (82.5%) but the second biggest growth factor is within the wet cat category. Although limited ingredients in wet cat food is still a small segment (1.9%), its growth rate is much larger than that of other pet food segments within the limited ingredient category (GFK). Because of their nature, pet foods with limited ingredients are fantastic for pets with specific food allergies or restricted diets. This is because they often are made with only one protein and, in some cases, simple supplement ingredients (take Applaws’ dog layers with chicken, pumpkin, and aspic for example). A common misconception about LIDs is that they’re only meant for pets with allergies and restricted diets. While that is one primary reason for the popularity of the food, it’s not the only reason why pet owners are opting for the simple ingredient panel. Pet owners like the fact that they can understand the ingredients on the back of their pets’ food. It’s much easier for them to understand the nutrients in their pets’ food if they sound like something we as humans would eat, such as carrots or even seaweed. It’s a difficult battle, the one against the need for complete and balanced diets. While many experts argue that it’s necessary for a pets’ health to eat a balanced diet every day, others rebuttal with the comment that not every meal needs to be complete in order to obtain a balanced diet. At the end of the day, it’s up to the pet food industry to educate consumers so that they can make the best decision for their pets’ health. When unsure about a particular diet, pet owners should always consult with their veterinarian for the best diet for their pet, as it will give them control to make the most educated decision. As you can see, LIDs are a popular pet food trend within the industry, and for good reason. It offers consumers a chance to feed their pets the exact ingredients they want to feed them - even going as far as to replicate the kinds of food they would eat themselves. With the growth of the humanization of pets, it's understandable how much this trend has grown in popularity among pet owners, and it doesn't appear to be going anywhere anytime soon.